Despite their patriotic names, dogs like the Alaskan Malamute and the Chesapeake Bay Retriever aren’t genetically American. Like most inhabitants of the United States, these dogs, together with most American pet puppers, trace their genetic past to much older parts of the world, like Europe and Asia. For a long time, scientists weren’t sure whether there really was a dog that really represented the Americas. But on Wednesday, a team of researchers that mapped out the evolutionary history of modern dog breeds reported that they found traces of a genetic signature unique to the “New World Dog” in contemporary canine breeds. The New World Dog, they explain in the Cell Reports paper, is thought to be a subspecies of dog that ancient humans (the ancestors of Native Americans) brought to the Americas over the Bering Strait from Europe and Asia some 15,000 years ago, when a land bridge connected the continents. While some archaeological evidence had shown that these all-American pups did exist historically, researchers always thought they were eventually outcompeted by dogs that arrived from the Old World. Studies of mitochondrial DNA have largely suggested that most modern breeds are the descendants of European and Asian dogs. The New World Dog’s genetic persistence came as a surprise. 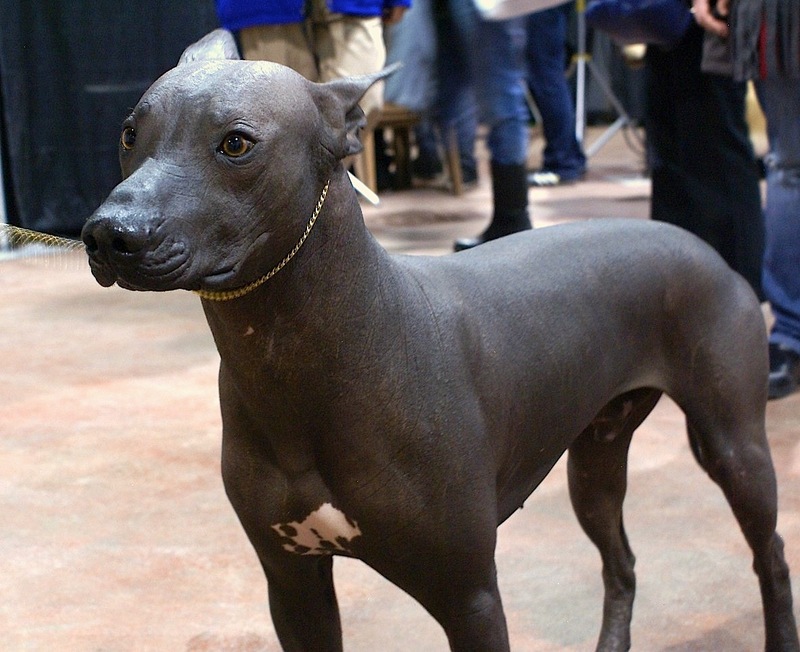 The Mexican hairless: All-American descendant of the New World Dog. In the paper she published with colleagues at the NIH in Cell Reports, Parker describes how she used the genetic information of 1,346 dogs — some swabbed at dog shows and similar purebred hangouts — to map out the evolution of 161 canine breeds. The evolutionary map, or cladogram, of 161 domestic dog breeds. The map showed that some common contemporary pet breeds aren’t descended from the European and Asian dogs but from descendants of the New World Dog. For example, American terriers and American toys are thought to have descended from dogs in North and Central America, and Chihuahuas and Chinese Crested count Central American canines as their ancestors (despite the latter’s misleading name). In addition to identifying some descendants of the New World Dog, the study also showed the clear influence of humans on the creation of certain breeds. For example, the data showed that “gun dogs” like the Golden Retrievers and Irish Setters arose soon after the invention of guns in Victorian era made hunting popular in England. But because humans brought their pets along with them wherever they traveled, old breeds intermingled and new breeds arose: The researchers found that the genomes of New World Dog descendants, like the Mexican hairless and Peruvian hairless, now contain some genes from the Old World’s German Shepherd. 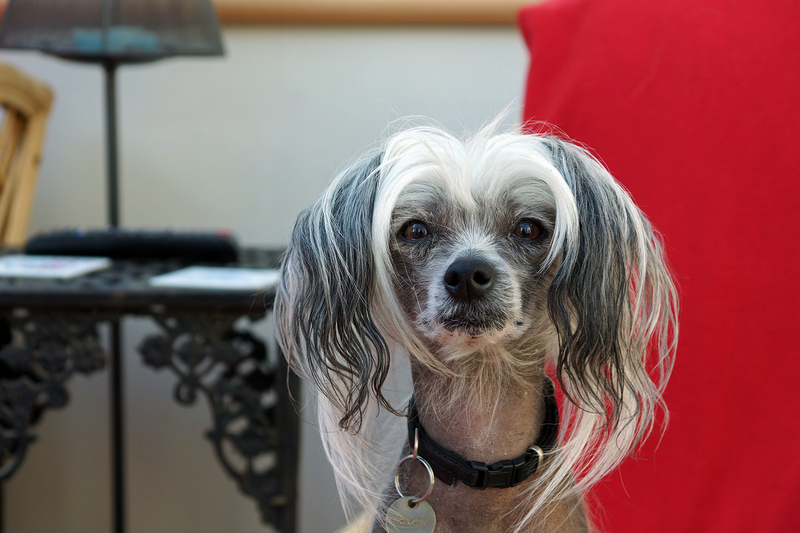 Despite its name, the Chinese Crested is descended from dogs in Central America. Studying the evolution of Homo sapiens’ BFF tells us a lot about the history of our own species, the researchers write. Because dogs suffer from many of the same illnesses as we do, like epilepsy, cancer, and diabetes, studying the way the genes linked to those diseases travel and manifest across different breeds could potentially model similar patterns in humans. “Every time there’s a disease gene found in dogs it turns out to be important in people, too,” said the paper’s senior author and NIH dog geneticist Elaine Ostrander, in a statement. Of course, quantifying the American-ness of dogs will ultimately prove as complicated as doing the same for humans: If you look far back into their evolutionary past, they, like us, all hail from a common ancestor that’s neither Old World or New. And, the data suggest that if you look far enough into the future, these dogs, like their owners, might eventually interbreed enough so that all those old distinctions are rendered obsolete.